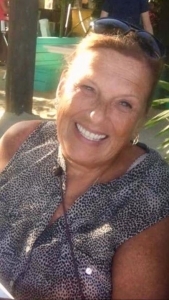 Brenda J. Kincaid Giovenello, 64, of West Grove, formerly of Trainer, passed away on Friday October 19th 2018 surrounded by family. Brenda graduated from Chichester High School with the class of 1971 and went onto Wilmington College to become a Registered Nurse. Over the course of her 35+ year nursing career, Brenda was employed by Riddle Memorial Hospital, Taylor Hospital and finally retiring from Mercy Fitzgerald hospital in 2018. Brenda developed the best of friends during her career as an RN, some she would consider family. It is by no mistake that Brenda chose the nursing field because of her loving, caring, and compassionate nature as an individual, she was always ready with open arms to help those in need in all walks of life professionally and personally. Brenda loved to travel and explore and was always looking for the next adventure. She was a lover of all things at the beach, her days on the boat, crabbing, shopping, her girl’s weekends and time spent creating memories and traditions with her family. Brenda was the proudest wife, mom, mother-in-law and “Mommom”, her grandchildren Tyler and Makayla were the loves of her life. Her time spent with them she cherished and loved talking about their achievements and watching their activities and sports throughout the years. Brenda was predeceased by her parents Vernon and Evelyn Kincaid. She is survived by her husband of 44 years, William Walker Giovenello; daughter Kristin Lynn Schirm (Derek); grandchildren Tyler and Makayla; brother Vernon Scott Kincaid (Cheryl); sister Maryanne Faries. Friends and family are invited to her viewing that will be held on Saturday, October 27th 2018 from 8:30am-10:15am at St. John Fisher Church 4225 Chichester Ave. Boothwyn, Pa 19061. Her funeral mass will follow at 10:30. Burial will be private. Brenda will always hold a special place in my heart. She will be missed by so many. My sincere sympathies to Billy, Kristin, Derek, Tyler and Makayla. RIP, my dear friend. So very sorry to hear of Brenda’s passing. She was a wonderful coworker at Taylor, always a smile. Always think of her on Kentucky Derby day — what a wonderful trip with her family. Thoughts and prayers to her entire family. Rest well, Brenda! Bill and Kristen, I am so sorry to hear of the passing of your Mom. I have many fond memories of Brenda and will always remember the fun times at Taylor Hospital. I was just speaking of her the other day regarding the flu shots. Every year your Mom would have to hunt me down to give me the flu shot, I hated to get it and I was always the last one to get in. We had a great group of people in our department and always had fun. May you find comfort knowing Brenda is at peace resting with the Lord watching over her family, who she adored. My thoughts ad prayers are with you during this difficult time. Oh Brenda…. You made me laugh till I cried… Will miss your shenanigans and fun and Black Friday text message. Prayers and love to your family. I am sure they loved you as much as you loved them! May the angels lead you in. XOXO ! My sympathy and prayers to you Billy, Kristin, Tyler & Makayla. … I know above all Brenda cherished her family. God bless you and thanks to God for Brenda’s kind nature and unconditional love. … In my mind’s eye I will always have a picture of her. The image is of Brenda’s bubbly laugh and shining smile. Brenda will always be in my heart and I miss her so very much. Sending prayers to all the family of Brenda. Brenda will be missed by all who knew her. Hope you Rest In Peace. God Bless! Dear Brenda you were a part of my life for many years good and bad. Now your gone to a better place, and got your wings. Billy and Kristin I am so sorry for your loss. Until we meet again girl. Wow what a shocker. Brenda was a great person enjoyed working with her at Taylor Hospital. Best smile ever. Rest in Peace Brenda. We send our sincerest sympathies to you & the family. Sorry for your loss. Our thoughts and prayers for Billy, Kristin and their families. Rest in peace, Brenda. Brenda I am certainly glad I got to know you.you were always such a delight. My heart is with Kristen and Billy.I will never forget you. BIll and Kristen, please accept our sincere condolences. Brenda was a person full of life, love and laughter. Will always remember the fun times we had while we all lived on Windng Way. I am so sorry you lost her at such a young age. No doubt she is with Our Lord and resting in peace. Please know you are in our prayers. My dear sweet sister in law. I will never forget you. Always a lot of fun our girls weekend trips always laughing so much shopping sleeping snoring keeping me awake .. I will always remember you .. my brother and niece I am here for you … your heart is broken but it will mend just remember the good memories and someday we will all be reunited again. God bless you! Our thoughts & prayers go out to Billy, family & friends. Brenda was a beautiful lady inside & out she was always so full of life & she will be sadly missed by many. Another angel got her wings may you Rest In Peace. Our deepest sympathy. BRENDA YOU WERE ALWAYS A GOOD FRIEND AND A LOVELY PERSON. TO BILL AND KRISTIN I AM SO VERY DEEPLY SORRY FOR YOUR LOSS. BRENDA I WILL ALWAYS REMEMBER YOU I NEVER EVER FORGOT YOU. REST IN PEACE MY FRIEND WITH LOVE ANNA MARIE LEOPARDI. I feel like I have lost a sister. You guys mean the world to us and you are in our thoughts and prayers throughout this heart wrenching time. We love you all! It was a pleasure knowing and working with Brenda in the ED at Mercy Fitzgerald. She had a warm caring heart, a great sense of humor, and a personality that could light up any room. She will be missed dearly. My condolances to all of her friends and loved ones. May God bless her. It’s so hard to believe such a strong woman could be gone so soon. It was a pleasure and honor to know you Brenda, and I will cherish those memories always. Our thoughts and prayers are with Billy, Kristin, Derek and the kids, her siblings, extended family and friends at this difficult time. Hugs and kisses Bren! We miss you!! Brenda was always a breath of fresh air. Always looking after others. My sweet, sweet sister in law you will be missed by all. We love you and will carry you in our hearts, until we meet again. God bless you and may you rest in eternal peace.